This past November, Professor Nate and four Synergy competitors decided to take their skills to Long Beach to compete in the 2014 Master Worlds. Synergy had a very strong showing coming home with four medals. Thomas got the medal party started by earning the Bronze Medal in his age and weight class. Sean and Ed were pretty much on the mats at the same time both earning medals in their respective divisions. Sean dominated his class until a small lapse in concentration had him settling for the Bronze. Ask him about it because it’s a great story! Ed used guile and his guard to make it to his division final but a referee’s decision left him with the Silver. 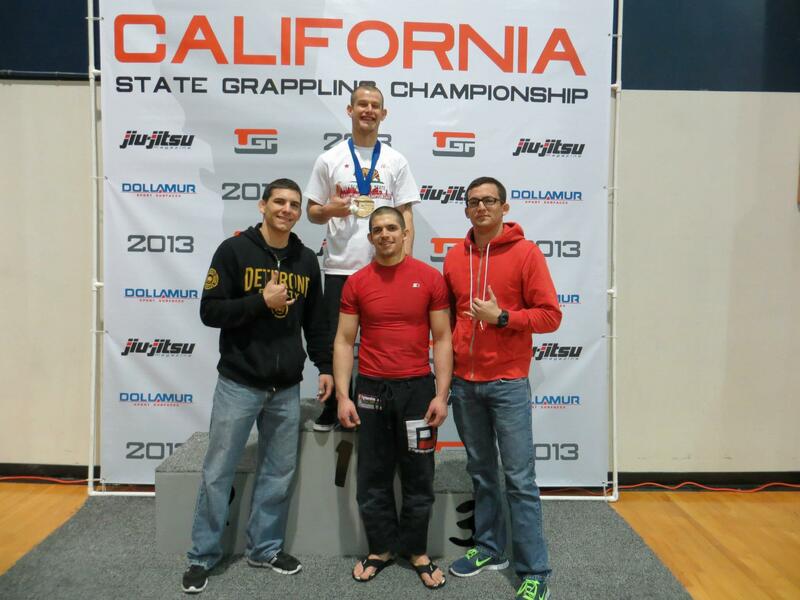 Lastly, Jeff made his competitive debut and grappled his way to a Bronze Medal! Congrats to everyone! 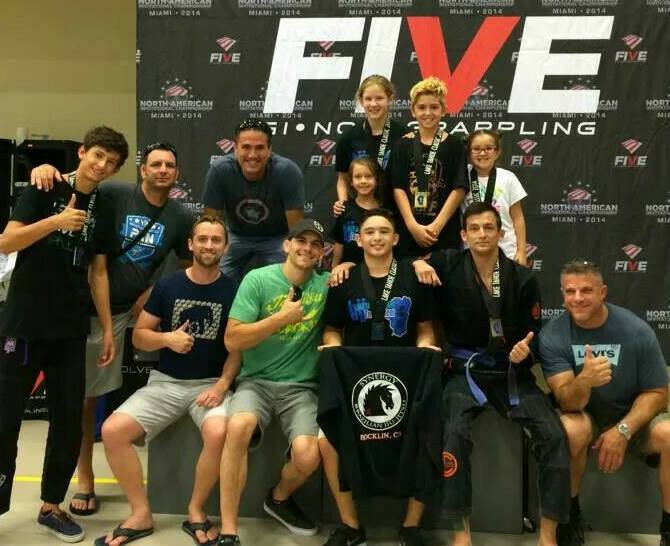 Several Synergy adults and kids took their jiu-jitsu skills to Truckee to compete in the 2014 installment of the Tahoe Classic Tournament. It was a fun day by all! Three of our kids medaled in their respective divisions as well as five adult students! A huge shout out to C.J., Ava, Issac, Duncan, and Mckenna for competing in the kids portion of the tournament. And lastly, shout outs go to Kendell, Thomas, Jon, Anthony, Jesse, and Andrew for competing as well. And many thanks to our parents and other students who came to cheer on our Synergy competitors!!! Nate looking to pass in the Gold Medal Match. US Open XVIII is the longest running Jiu-Jitsu tournament in the United States that saw nearly 1400 competitors step on the mats. With that being said, 8 Synergy athletes made the 3-hour drive down to Santa Cruz to join the party. Saturday saw two of our teens display some solid work! 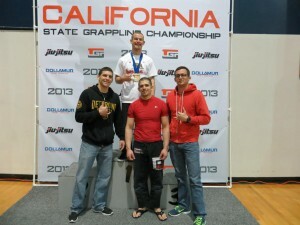 First, Jesse took his division with a solid 8-0 win and was Synergy’s first US Open Gold Medalist. Next up was Chloie and she did great in her first ever competition giving a much more seasoned teen a run for her money. Sunday saw 6 adults taking the mat. First up was Nate and he dominated his Masters Black Belt Division with a submission win in his first match and a 19-2 win in the Gold Medal match. Other highlights of Sunday included Thomas’s sweet triangle submission of his first opponent, Andrew’s thrilling come from behind win in his first match, Anthony’s tough match where we saw him hit a beautiful single leg take-down, and Ed’s closed guard work in his three matches that earned him the Silver. The day was finally capped off by Jason “The Deuce” Wallin’s competitive debut. Jason won his first match in convincing fashion. The final score was 7-0 after a crushing guard pass to mount. Jason lost to the eventual winner in the Semi-Final, but he came home with the Bronze Medal! Congrats to all. 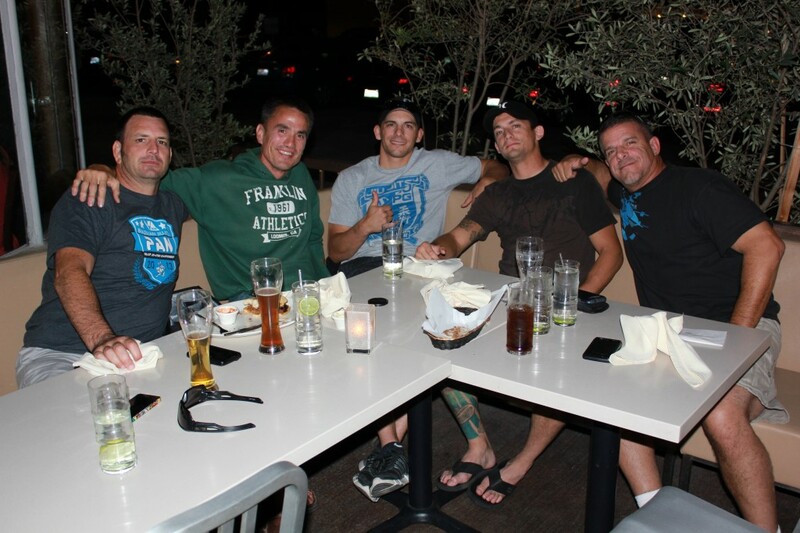 Time to Eat in Belmont Shore! Synergy sent their first athletes to compete in the 2013 Senior Master Worlds that were held in Long Beach over the first weekend in October. Nate, Ed, Thomas, and Sean stepped on to the mat and tested their jiu-jitsu against very game opponents. Highlighting a very successful weekend was Sean’s Bronze Medal in the Senior 2 Heavyweight Category. Congrats again Sean! Also, our whole trip was highlighted by meeting great people at the venue (Long Beach Pyramid), our hotel, even at one of the restaurants where he had dinner! Everywhere we went we met some of the coolest people who also practiced Brazilian Jiu-Jitsu. 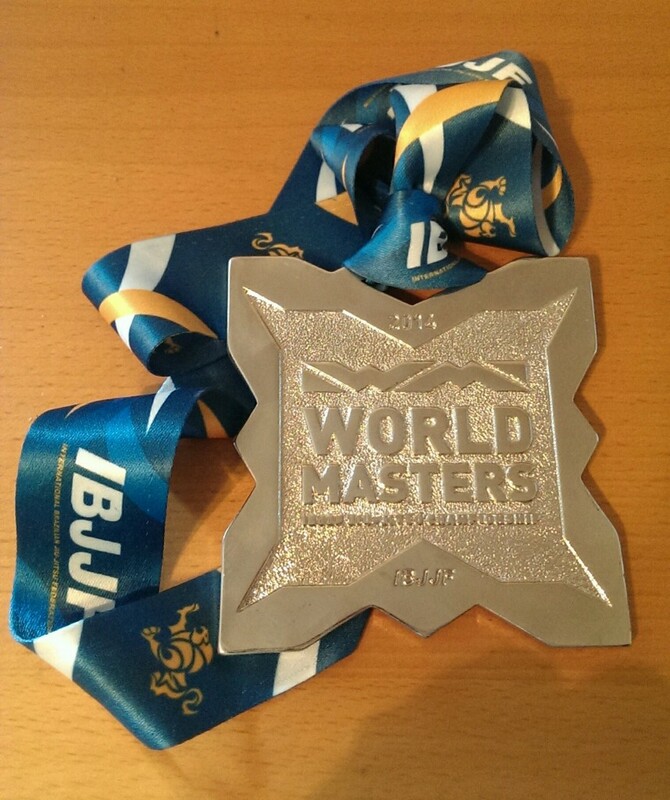 So if you thought about competing on the biggest stage for Jiu-Jitsu, make the commitment to make it happen! Champions on and off the mat! 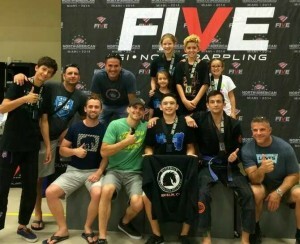 Five of our outstanding kids took to the mats in San Jose this past weekend at the United Grappling Federation Kids Tournament. 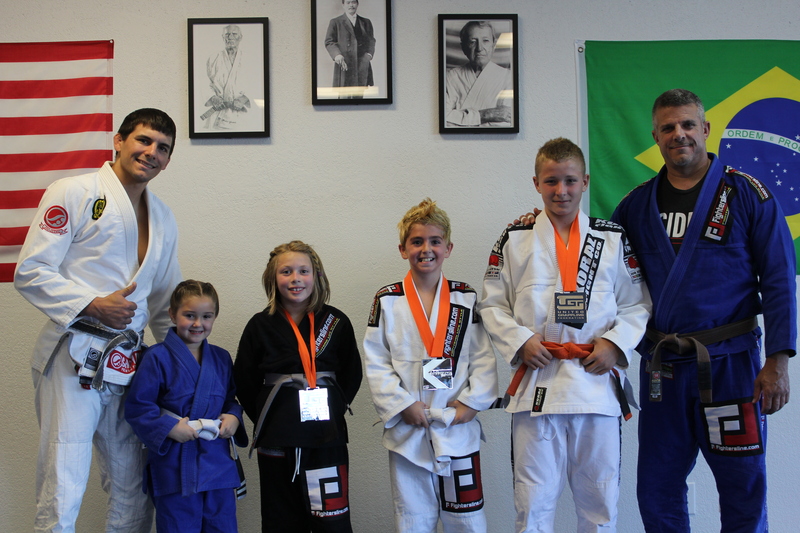 They wanted to test their jiu-jitsu and themselves as they took on other kids from around the region. Ava, Avery, Isaac, Carlos, and Jake all had multiple matches and many good moments during their competition. Four of them came home with a medal hung around their neck. Congratulations to all of you! 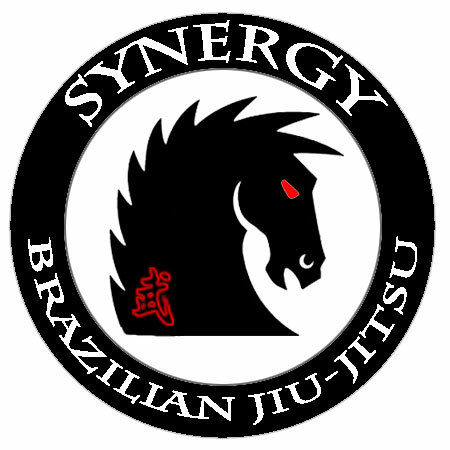 Synergy Competes at 2013 Pan Jiu-Jitsu Championship!!! 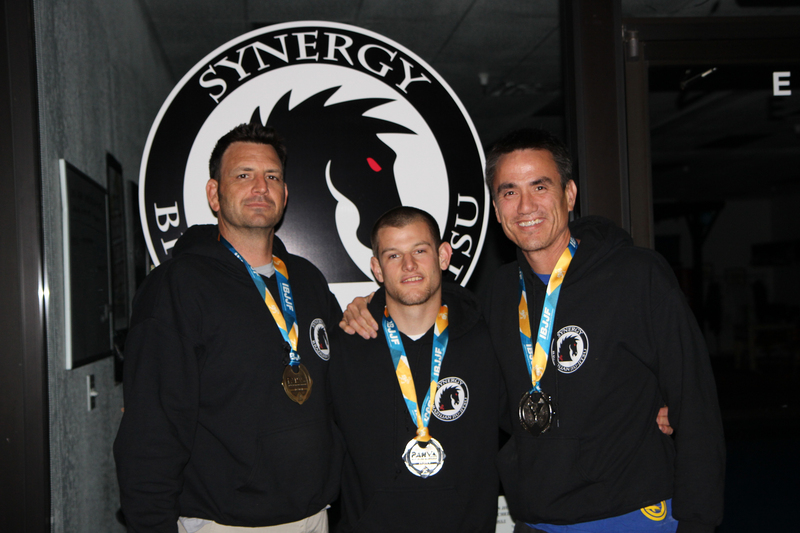 Synergy Brazilian Jiu-Jitsu took 7 competitors to our first major IBJJF competition in Irvine this past week. The Pan Jiu-Jitsu Championship is one of the largest tournaments conducted by the IBJJF that usually attracts several thousand competitors. Nate prepared the guys to do their best and they responded with a great showing. When the dust had settled, we brought home 3 medals (2 Silvers and 1 Bronze). We were also one match away from bringing a fourth medal back to the school, but fell just short. It was a fun time for all and we look forward to representing Synergy again! If you are interested in adding competition to your game, please talk to Nate or Jeff. After many weeks of extra competition team training, two of our own suited up and entered the United Grappling Federation tournament held at Cosumnes River College this past weekend. Aaron Pombo took gold with a suffocating 7-2 win that nearly saw him finish his opponent with a gi choke from the back as time expired. In addition, Jared Mosier won his first match but suffered a tough defeat at the hands of his second opponent. It was a great match that saw great back and forth action. Stay tuned because this is only the beginning! Our competition team will be suiting up for Jiu Jitsu By The Bay-10 that will be held in Alameda on March 2nd. If you have any aspirations of competing, come join us as we push each other to get better and better.